For women and men who are involved in caring for aging parents, and for those who see caregiving in their future, this empathetic and practical book offers complete coverage of all the practical issues you are likely to confront--while addressing the emotional stress and particular needs of caregivers. Claire Berman, drawing on her own experiences, the experiences of many other adult children, and interviews with specialists in the geriatric field, discusses the wide range of emotions that can accompany caregiving. 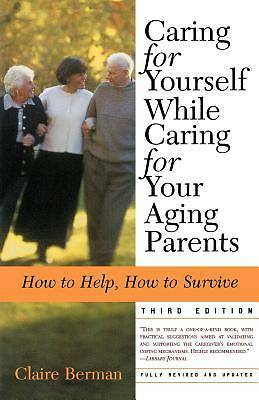 In a wise and compassionate voice, Caring for Yourself While Caring for Your Aging Parents teaches you everything you need to know to help your parents through the stressful and humbling challenges of aging.